Recently I spent a few days in Yerevan, capital of Armenia. Not your everyday tourist destination, and for me it was business, not pleasure, which brought me there. Still, I had some spare time to look around, and got pleasantly surprised. Although Yerevan’s history is four thousand years old, it did not become a major city until the Soviet era, and almost everything is built after 1920 (most notable exception being a couple of churches). 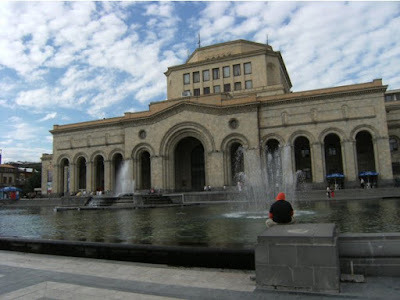 The city centre, transformed by the Armenian architect Alexander Tamanian, is built in neoclassical style, with grandiose official buildings, big squares and broad avenues. The Republic Square can be described as the heart of the city, a big semi-circular square flanked by government buildings, hotels and fountains. 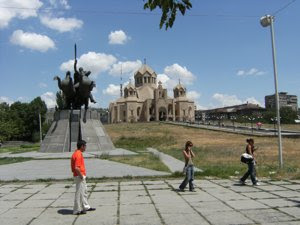 After Armenia’s independence from the Soviet Union in 1991, a new cathedral has been built, the Grigor Lusarovich (Saint Gregory the Illuminator) Church. It was finalised in 2001. The Armenian Apostolic Church is an independent church with its own rite and its own theological peculiarities, and it is also the oldest national church in the world: Armenia adopted Christianity as a state religion before the Roman Empire. I happened to visit the cathedral when a mass was being celebrated, officiated by His Holiness Karekin II, Catholicos and Supreme Patriarch of All Armenians, as his title goes. For more secular pleasures, you may go to the Opera House (below), another landmark building, where concerts, ballet, opera and theatre are performed. 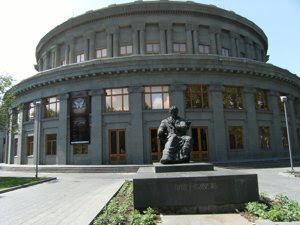 In front of the Opera House there is a statue of Aram Khachaturian, the world-known Armenian composer. On the back of the Opera House you will find a park with a small artificial lake, the Swan Lake. There are numerous cafés and bars where you can chill out on a warm summer day or evening with one of Armenia’s many excellent beers. At night it is one of the hot-spots for Armenia’s “in-crowd”. Of the beers I tried, I preferred Gyumri, a lager-type beer with an attractive colour and a light taste, rather neutral (not bitter), but with clear notes of barley. Other good lagers are Kilikia and Kotyak. Accommodation: I stayed at Ani Plaza Hotel, a decent hotel just ten minutes walk from both Republic Square and the Opera House. 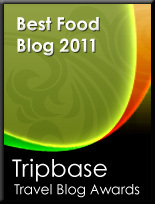 Best bet is to look around on the internet to see what offers you can get. 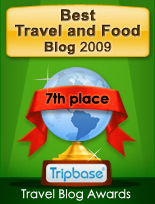 It is recommended to stay in the city centre. Transport: If possible it is advisable to arrange your transfer from and to the airport in advance with your hotel. Once in the city centre, most sights and attractions are in walking distance. Taxis are inexpensive, but it is worth agreeing the price with the taxi driver beforehand. Security: There is very little crime in Yerevan, and as a tourist you have no reason to feel insecure when walking around. I did not get harassed once, and I have seen far more beggars and aggressive street vendors in rich Western European cities than I did in Yerevan. 100 dram = 0.20 euros or 0.33 US dollar. Credit cards are accepted at hotels, major stores and some restaurants, but local cash is preferred in many cases. Money can be changed in most hotels, banks and exchange boots.